We have posted some other devotional resources you can use after Growing in Discipleship stops publishing on October 25, 2014. For our recommendations click here. Please note: The last Growing in Discipleship daily devotion will be posted on Saturday, October 25. We will be posting some other places to find daily devotions online, or to have them delivered to email in the days ahead. I have had the privilege throughout my ministry of hanging around with musicians. The really good musicians I have known through the years are like sponges absorbing musical knowledge. They are always looking to learn from the other members of the band. They work together on rhythms, key changes, little tricks for playing, transitions between chords, and whatever else one of them doesn’t know. It is kind of a given in the music community, that knowledge is meant to be shared. Music is one of those things that is difficult to learn in a traditional classroom. It is often best learned by getting with someone better than you and asking questions, watching what they do, and making music together with them. In today’s passage, Jesus sets the disciples up to work in much the same way. He tells them to “go and make disciples.” Literally, the word disciple means student. Jesus is calling his followers to go and make other followers, to build a long succession of people who are on “The Way,” his way of living. In his book Building a Discipling Culture author Mike Breen states, “If you make disciples, you always get the church. But if you make a church, you rarely get disciples.”* Which is why Jesus called us to “go and make disciples,” and not to go and build the institutional church. Every good musician I have known is part teacher and part student — imparting what they know, and absorbing what they don’t. When that works well, all the musicians get better. The same is true as disciples of Jesus. We each need to be part teacher and part student. Then we will make one another better. Prayer: Teach me, O God, to be a disciple who makes disciples. Amen. Action: Reflect on your role as both student and teacher. Do you have a good balance there? In which area do you most need to grow? Respond: What are some things you have learned in a way similar to the way musicians teach one another? *Breen, Mike (2011-08-16). Building a Discipling Culture (Kindle Locations 100-101). 3DM. Kindle Edition. Please note: The last Growing in Discipleship daily devotion will be posted on Saturday, October 25. In the days ahead we will post some other places to find daily devotions online, or to have them delivered to you email inbox. Every morning the same two women walk by our house. No matter how cold or how warm, they are out walking, and every day when they pass they are engrossed in conversation. Based on the way they are dressed, and the fact that they really come by every morning, I assume they are exercising. It doesn’t really look like an exercise routine, but I imagine they are encouraging one another to keep going. One day, when one thinks it might be too cold, the other might push a little. The next day, it might work in reverse. It is good to have friends like that, people who encourage us to keep going even when things are getting tough. I love the phrasing Jesus uses in today’s passage. He calls the Holy Spirit a “companion.” In other translations the same word is rendered “advocate.” What Jesus is trying to convey is that he is sending someone who is on our side. He is not leaving us alone to try to achieve some lofty goal of being holy. Instead he is sending one to us who will help us, teach us, even strengthen us to be his followers. What a joy it is to have a traveling companion like that. As a general rule of thumb, many of us were taught that we should not talk about politics, money, or religion in polite company. At some point though, we took at least the religion one, a little too far. Many of us have privatized our faith, keeping it close to the vest, never sharing with anyone our joys or our struggles. We need to begin to again share our faith journeys with our friends. We were never meant to walk alone. We were always meant to travel together, under the encouragement and direction of the Holy Spirit, and giving strength to one another. Prayer: Thank you God for my companions, including the Holy Spirit, to encourage me in my faith journey. Amen. Action: Find a time in the next several days to go for a walk with a friend. Respond: Do you have a friend who encourages you? How are they helpful? There is an old saying that goes something like, “Be careful to whom your hitch you wagon, or you may end up some place you never intended to go.” That’s pretty good advice. I was very fortunate early in my ministry to look up to some of the right people. There was a young pastor (he seemed so much older then), at the big United Methodist Church about 5 miles from the tiny one I had been appointed to as a seminary student. He loved showing me how to do ministry with integrity. Soon after that, I met a pastor near retirement who hired me to be the youth pastor at the church he was serving. He too taught me what it was like to pastor the people of the church I served. There were others out there — those who had their eyes on some other prize — to whom I am glad I never hitched my wagon. I’m sure you know the same thing in your work, in school, and in your relationships. In today’s passage, Paul is very clear to tell the new Christians in Corinth that if they want to know what it means to be a Christian, they can look to him. The reason they can trust him enough to follow him, is because he is following Jesus. We are all part of a great continuum of believers, people who are following others, who were following others, who were following Jesus. Part of our job as Christians is not only to follow, but also to be leaders as Paul led that early church. I have recently heard a great phrase from the staff and other leaders of our church who are participating in the 3DM process. 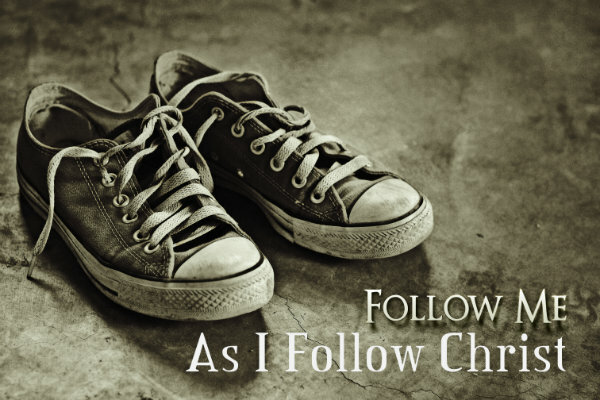 They frequently ask themselves and the rest of us, “Do you have a life worth imitating?” Or to put it another way, Should people be following you because of the way you are following Christ? That’s a tough question, but one we need to be living into every day. Prayer: Thank you, Lord Jesus, for those who have given me a model to imitate. May I be that model for someone else. Amen. Action: Thank a mentor today, and consider if you are living a life worth imitating. Respond: Who are some of the people who taught you the ropes — at work, school, church, etc.? Mr. Klenk on his adventure. An old college friend climbed to the base camp of Mount Everest a couple of years ago — setting off on Christmas Day 2012, and returning New Years Day 2013. What a way to conclude one year and begin another. I was able to follow his extraordinary experience on his blog, Mr. Klenk Goes to Everest. One of the things I was reminded of as I read some of his posts, is that one doesn’t just jump on a plane to Nepal, and start climbing. There are weeks, even months of preparation. Then after all of that, you hire an experienced climber to guide you up the mountain. The road is still dangerous, but your chances for success are much greater when you have a guide to go with you. After his resurrection Jesus appears before his disciples. They have been shaken to the core by Jesus’ death on the cross, and are wondering if the authorities might come for them next. They are huddled together in that upper room for safety and security when Jesus appears. Jesus does two things: (1) he sends them to share what he has taught them, and (2) he gives them the Holy Spirit to strengthen and guide them for the journey. Jesus sends us with a sherpa of sorts, one who knows the terrain, who will keep us safe, and guide us along the way. Mr. Klenk had a wonderful experience on his journey to Everest, with lots of preparation and the help of an expert guide. Many of the pictures on his blog are of the people he met along the way, those with whom he journeyed. We too know that we live an adventure in Christ, but we don’t go it alone. We have the Holy Spirit to guide us every step of the way — even when the journey is difficult or scary. Prayer: Thank you, Holy Spirit, for being my comforter and guide. Amen. Action: Find a way to say thank you to one who has guided you — at school, at your job, in your relationships, etc. Respond: What are your experiences with a guide? How have you been helped by someone with more experience than you. Join the conversation! Click “Leave a comment” or type in the “Leave a reply” box below. 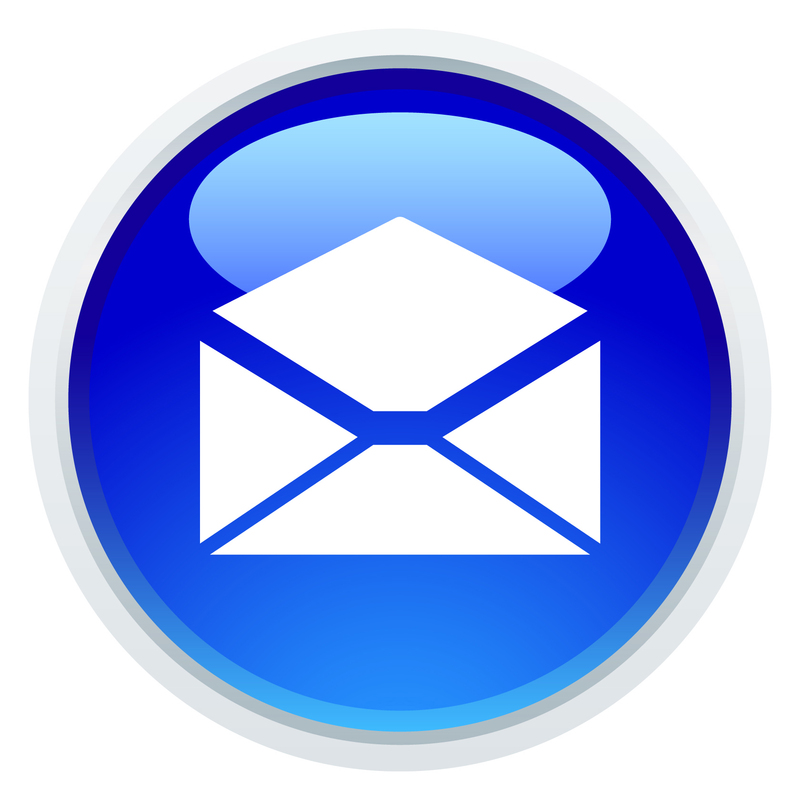 Email subscribers, click the title of the devotion in the email to go to the webpage. Then follow the instructions above. In today’s scripture lesson we learn that God has wrapped his gift to us, this secret plan, in a surprising way. The plan for the world is Christ, and since his resurrection Christ is living in us — you and me who follow Jesus. This is quite a responsibility for us. We must represent Christ to the world around us. The downside of wrapping in a creative way, is that sometimes the wrapping becomes more important than the gift. The focus is misplaced on the wrapping, which of course is Paul’s point with the gift that is living inside of us. We are not to draw attention to ourselves, the container, but instead to direct the attention to Christ living in us. We do that whenever we live for him. Prayer: Thank you, Lord Jesus, for allowing me to be the wrapping of your great gift to the world. Teach me to share your plan for the world in everything I say and do. Amen. Action: Take note of the assumptions you make about things and people, based solely on what you can see. Respond: Do you have any great ways of deceptively wrapping a gift? Looking for images this week, I came across a quote I had not heard before: “Telling the truth and making someone cry is better than telling a lie and making someone smile.” I think there is some truth in that quote, though I have seen that idea used as a weapon to hurt others. Someone says something mean then dismisses the reaction of the other by saying, “I’m just telling the truth.” But there is something to the ability to speak the truth to those we love, especially when we pair it with yesterday’s devotion and all the lies we can believe about ourselves, and how the truth of who we are in Christ is often far different. In today’s passage, the Apostle Paul encourages the people of Ephesus to speak “the truth with love,” toward one another. Note though that the goal of the truth is so everyone will “grow in every way into Christ.” This isn’t about taking shots at people for character flaws, but rather speaking to those with whom we are close, so they can grow in Christ. But not everyone can speak that way into my life. A truth that might make me cry is heard far differently from someone who knows me well, than from someone who only knows a piece of who I am. To hear a difficult truth, I need to be in a deep relationship with the one speaking to me. Trust like that is reliant upon a relationship that is mature, one which has grown over time. When we hear these words from the Apostle Paul, we must remember that the goal of “speaking the truth with love” is to “grow in every way into Christ.” We tell the truth in love to build people up, not tear them down. You and I need relationships with people whom we give permission to tell us truths that might make us cry, but will deepen our relationship with Christ. Prayer: Thank you, Lord Jesus, for those who care deeply about me who can speak the truth to me in ways I can hear it. Amen. Action: Reflect: Who are the people in your life who have permission to tell you hard truths? Do you need to develop those relationships? 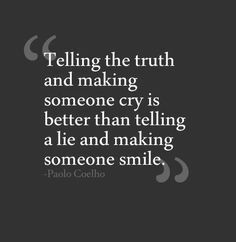 Respond: What do you think of the quote: “Telling the truth and making someone cry is better than telling a lie and making someone smile”?